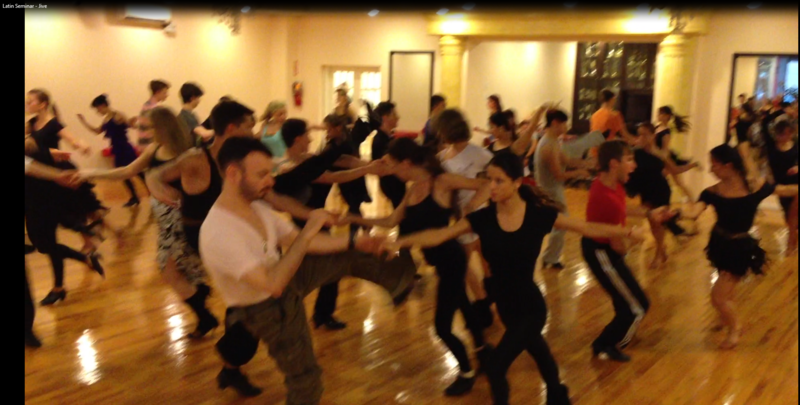 Exhilarating Jive by our bronze/silver class. Playful choreography showcases children’s impeccable rhythm, characteristic bounce, and great partnering. They are only 9 to 12 years old and already very promising. This class is very lucky to learn from our talented team of coaches. If you would like your children to join us call us today. 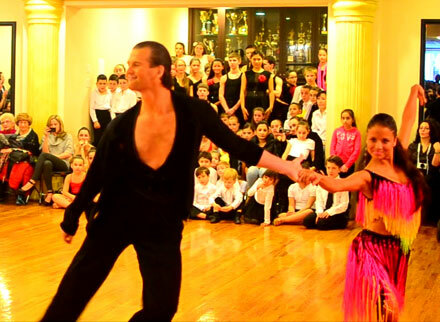 This week’s “Video of the Week” features Eugene Katsevman leading the Tuesday Latin Seminar in their Jive Class Routine. Dashing young men and sophisticated young ladies dancing beautifully… you would think we are talking about an elegant ballroom scene. 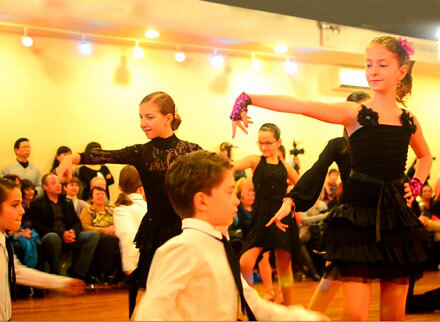 We are actually referring to the Junior Gold Latin class demonstrating their Jive to “Mambo Number 5”. This talented group of kids shows great presence, lines, and posture. Enjoy this rhythmical jive by Stanislav Savich and Annie He Xiao from our 2nd Anniversary Party. This talented professional couple exude elegance and refinement. We look forward to seeing more from them!